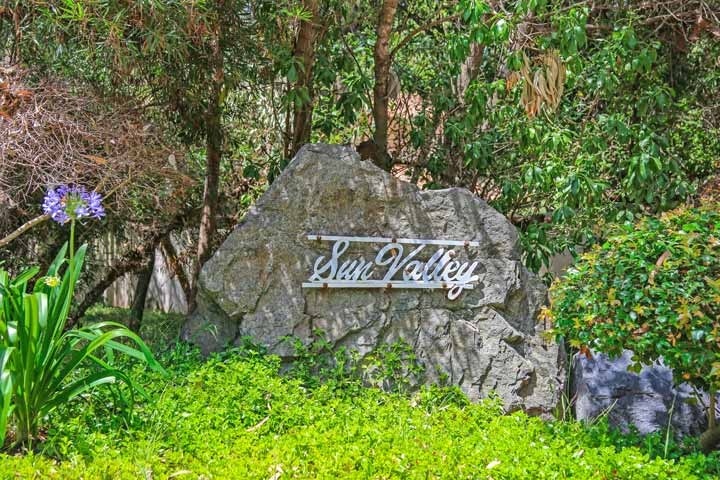 The Sun Valley community is situated on the east side 5 freeway in Del Mar, California. Often referred to as Rancho Del Mar neighborhood due to it's close proximity to the Rancho Santa Fe city limits. Similar to Rancho Santa Fe, the community features large scale luxury homes in a secluded compound setting. Properties in Sun Valley are often priced well over the two million dollar price point and feature large lots and resort style pools. This is a custom home neighborhood with no homeowners association dues. Many of the properties in this community are gated and offer facilities for horses as many of the homes are zoned as horse properties. We showcase all of the current available Sun Valley Homes for sale in Del Mar. For those looking for a specific property in this community please contact us at 888-990-7111 today. We are the Del Mar Real Estate specialists. Based on information from California Regional Multiple Listing Service, Inc. as of April 20th, 2019 at 4:07am PDT. This information is for your personal, non-commercial use and may not be used for any purpose other than to identify prospective properties you may be interested in purchasing. Display of MLS data is usually deemed reliable but is NOT guaranteed accurate by the MLS. Buyers are responsible for verifying the accuracy of all information and should investigate the data themselves or retain appropriate professionals. Information from sources other than the Listing Agent may have been included in the MLS data. Unless otherwise specified in writing, Broker/Agent has not and will not verify any information obtained from other sources. The Broker/Agent providing the information contained herein may or may not have been the Listing and/or Selling Agent.